In blogging tradition, it's time to share the top posts or projects of the year. This has been such a fun year for me! I thank you from the bottom of my heart for reading and leaving your kind messages. Thank you for coming back often and for always sharing your encouraging words. 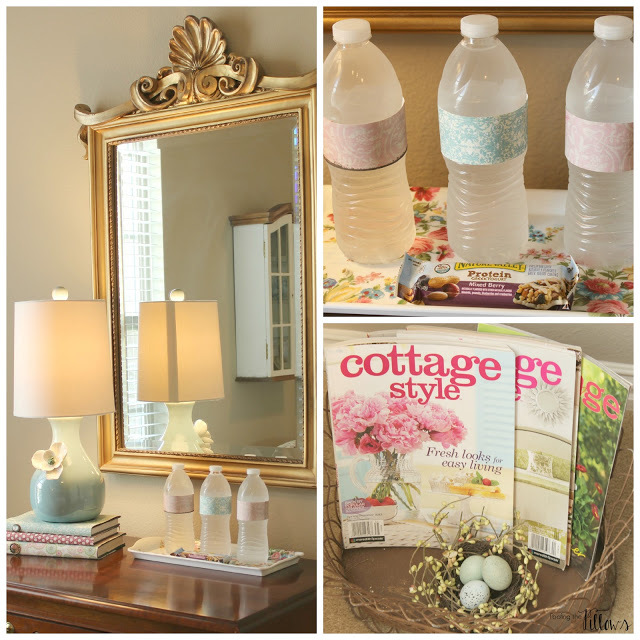 The One Room Challenge was exciting to participate in. Our guest room project was really a fluff and finish project but it was more difficult than I expected. Doing a project like this on a timeline requires discipline and planning and when it comes to decorating...that's not something normal for me. Plus, when you participate in this you are in the company of real designers. Yikes! Talk about intimidating. A Quick Tour of Our House has been a popular post. If you want to see more pictures you can click here. June in our Yard garnered lots of attention. I appreciate this so much because gardening is my favorite! We do have a small yard at this house but making and keeping it pretty is fun. 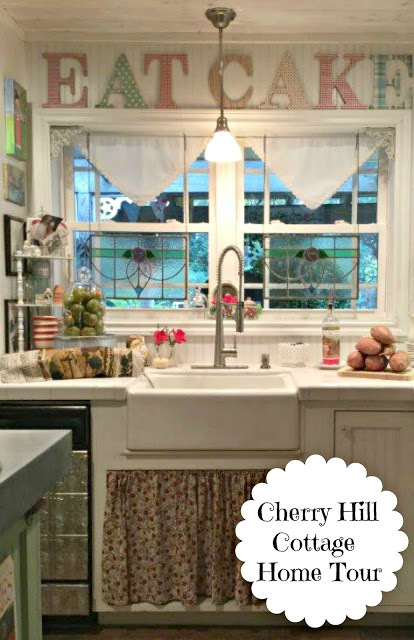 Tina's Cherry Hill Cottage is delightful and y'all visited that post many times. Tina has been blogging a long time and each and every post of hers is beyond adorable. Be sure to visit her. This Summer to Fall Door Decor has been visited and pinned many times. have everything on hand already.Took 10 minutes to put this together and I love it. Laura at Decor to Adore. It was like gathering with old friends and having cookies. What more could you want? 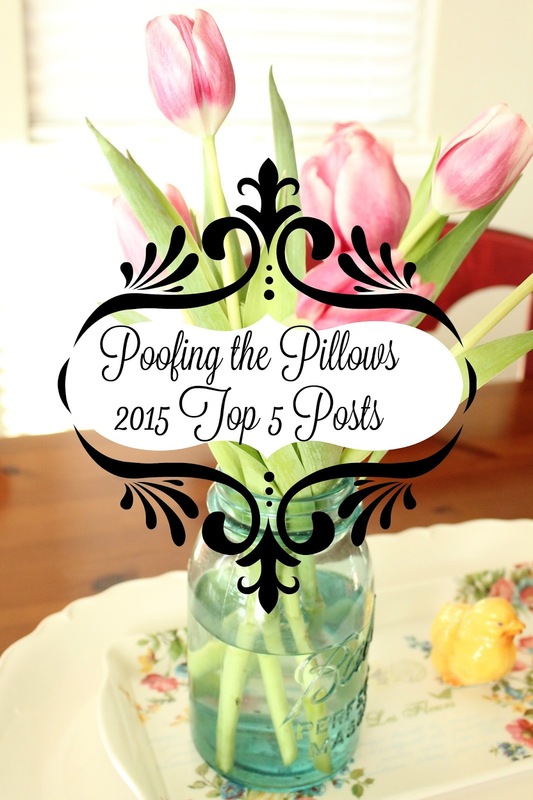 I have big plans for Poofing the Pillows and can't wait for 2016. Stacey, thank you for coming by so often and leaving your sweet comments! Love that you are blogging away too and have done so many wonderful things this year. Here's to 2016! Happy New Year, sweet lady. It's fun to look back, isn't it? You shared so much pretty this year, Stacey. Thanks for the peek! These were some of my favorite posts from you! Especially your garden. You are my go to garden gal! LOL And I always love seeing your beautiful home. PS Glad to hear you made it through those scary storms! Stacey, it's been a pleasure visiting your blog and looking back. Wishing you all the best in 2016 and the years to come. Thank you for your continued friendship. Your words of excitement have me rethinking my choice to give up my little blog. Looking forward to more inspirational posts in 2016. I have enjoyed all of your 2015 posts. Thanks for the trip down memory lane! I love your posts and gardening is one of my favorite hobbies too! Happy New Year! I appreciate your sweet comments left on my little blog. Thanks again! Stacey, you left question on my blog about where Carol's Interior Home Store is. It's in Sherman Texas. 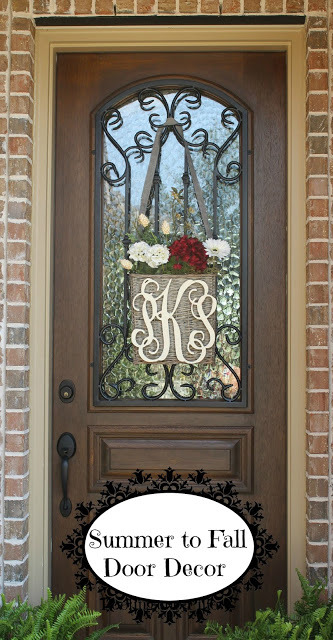 Another shop you might enjoy is called My Favorite Room in McKinney Texas. Really enjoyed your home tours this year and looking forward to the new year. I think the Texas Christmas tour you organized is something to celebrate. I found so many different bloggers on that tour. Thank you for all the sweet comments you leave on my blog. I don't always catch them because they don't go to my email, but I try to check. The one about a book is so sweet. While we were on vacation, my family kept encouraging me to move my creativity forward. I'm toying with making things to sell. Happy New Year, dear Stacey. You are one of the 'real' bloggers. Hi my Rockwall neighbor:) this was fun to get a year in review. It looks like it was a good one! Looking forward to 2016! Beautiful posts! I hope you and your family had a wonderful Christmas. Glad that you (like us) were not damaged by the tornadoes. I remember all of these fantastic posts, Stacey, but for the tour of Cherry Hill Cottage---off to see that. A belated Merry Christmas and best wishes for a happy 2016! I remember all these pretty posts. Can't wait to see what you have in store for 2016! This is my first time here and your posts look wonderful! I found you over at Tuesdays at Home. Here's to 2016! 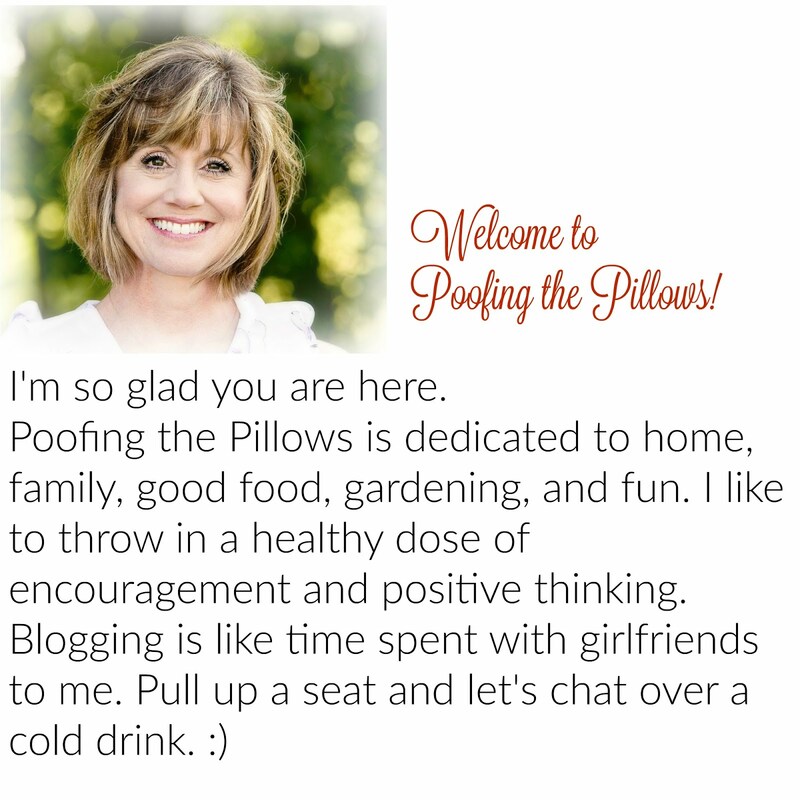 I have so enjoyed your blog and am so glad our paths have crossed! I'm really looking forward to reading more of your wonderful stories and getting to know you better! Hugs!! Looks like it was a great year for you. I always love to come and visit! Hope next year is even better! It was fun to go through some of your posts from 2015. I cannot wait to see all the new inspiration for 2016. It's fun to look back and actually see all that you've accomplished in a year. I love your home tour . . . great post. Lovely posts! Fun to see what posts others visit the most. I think you do a great job with your photography! Wish I could do as well! Have a great blogging year in 2016! Looking forward to the new year. Your garden is just wonderful. 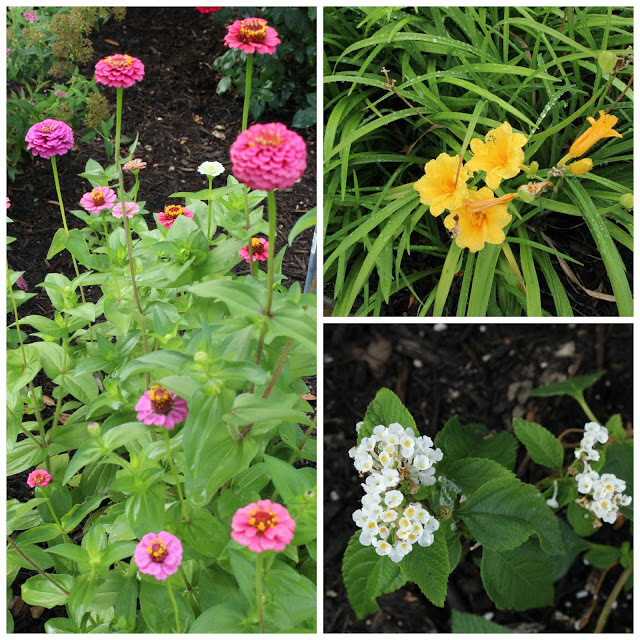 I'll have to work on those zinnias this year. It was wonderful meeting you a few weeks ago. Thanks for your friendship and the many sweet visits and comments. I can't wait to hear about your big plans for 2016. Have a happy new year, Stacey. I'm new here. It's a pleasure to meet you and I look forward to visiting with you again in the new year! Such fun following along with you! Happy New Year and thanks so much for sharing at AMAZE ME MONDAY! It was fin looking back at these fantastic posts. Your home is so pretty! 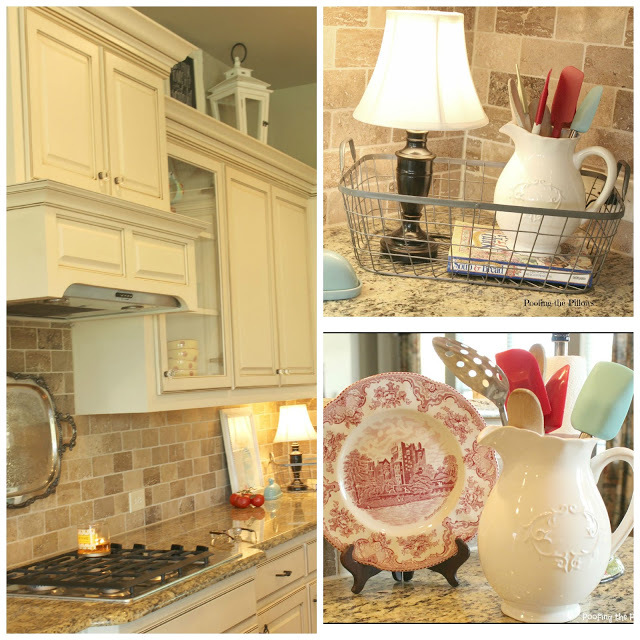 I love seeing your home featured on your blog. I had not seen your garden post, your garden is so pretty! Enjoyed seeing your 2015 recap! Again, I am responding on your blog to your comment on my blog. The friendships from blogging and Instagram continue to amaze me. I haven't posted a pic on IG about my latest blog post (I only post 1 pic a day), but I saw that Shelley of @peoniesandtumbleweedsblog had commented that Monica of @princesnowfarm was the person who encouraged Shelley to go public with her IG account. Coincidently, Monica is the person who inspired me to join Instagram. All the connections amaze me! I love your word choice and I adore Louis Armstrong's "Wonderful World" ~ a very favorite! I believe that focusing on the positive and having an attitude of gratitude makes life so much sweeter. Your photos are beautiful! I'm thinking this is the new house? So happy you weren't touched by those horrific tornadoes. God bless all those who have lost so much! What a beautiful and productive year! Thanks for letting us see it!